Exclusive interview for SPINOFF.COM with Dr. Riam Kanso, the Co-Founder of Crowdhelix, the UK-based custom-built collaboration and Open Innovation platform that connects over 2100 research organisations & businesses seeking funding from the European Union's €80 billion Horizon 2020 programme. SOC: Dear Dr. Kanso, thank you very much for dedicating your time to this interview. We would like to start with the overview of your company. Could you please elaborate on the story of its creation and the team? Dr. Kanso : Vision2020/Crowdhelix was formed in 2013 as a way to connected academia with industry in pursuit of Horizon 2020 funding, the EU's 80 Billion Euro R&D funding programme. The company was founded by Abdul Rahim, Michael Browne, Martin Scott, Riam Kanso and Rusty Nash. The membership base quickly expanded and soon as the first version of Crowdhelix was born as a Google+ platform. The version we have today was first launched in April of 2016 and has since grown to over 2100 users from across the network. The team also began hosting collaborative matchmaking events in 2015, starting with an event at Trinity College Dublin in June of that year. These days, Crowdhelix holds roughly 14 events each year focused on a specific thematic challenge of Horizon 2020. 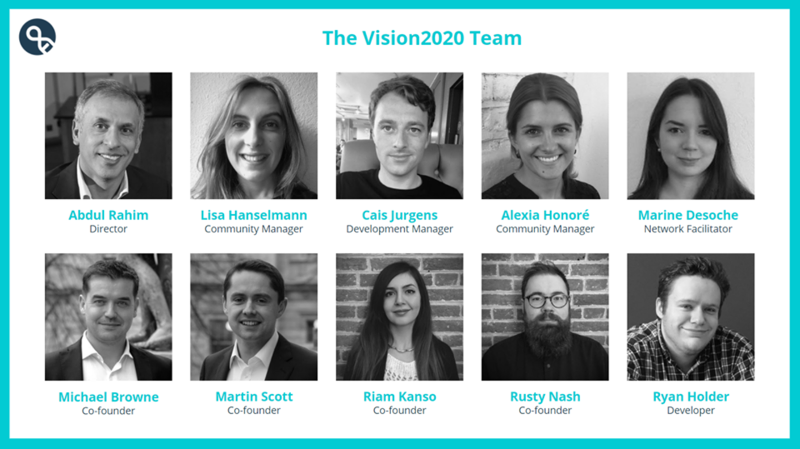 The team today has grown to 10 members, spread across London, Norwich, and Brussels, and with a further development team based in Lithuania. We will also soon be opening a branch in Ireland. While the company was once strictly known as Vision2020, and Crowdhelix was a separate entity, they have no merged as one and will continue forward under the Crowdhelix banner into FP9. SOC: Could you please describe the services that the Crowdhelix Network provides in more details? Dr. Kanso: The Crowdhelix network’s goal is to facilitate collaboration between academia and industry so as to build the consortia necessary to apply for funding from Horizon 2020. We do this through 15 or so H2020 themed collaborative matchmaking events throughout the year, as well as through our purpose-built networking platform, Crowdhelix. 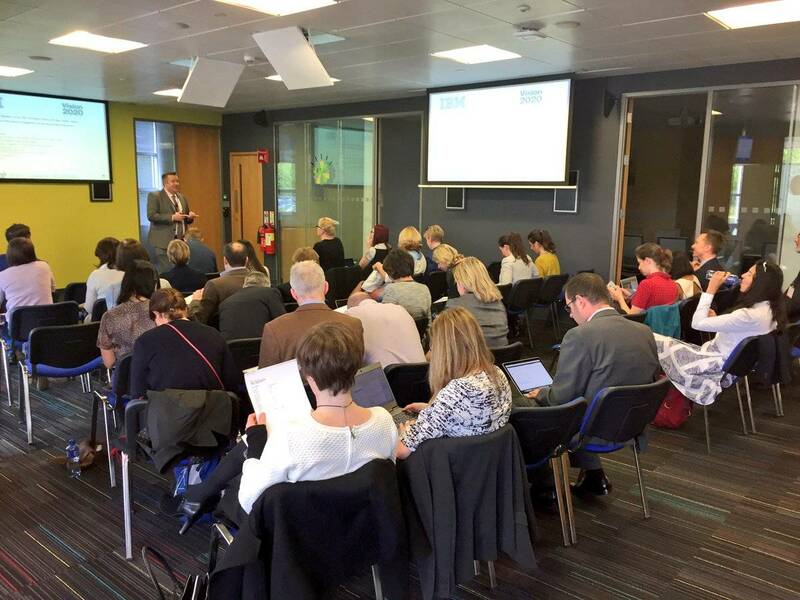 Usually tailored to a specific area of interest, our events invite researchers from across the network with a specific expertise to contribute to an event, network, and to join a consortia building workshop designed to lay the groundwork for a proposal submission. 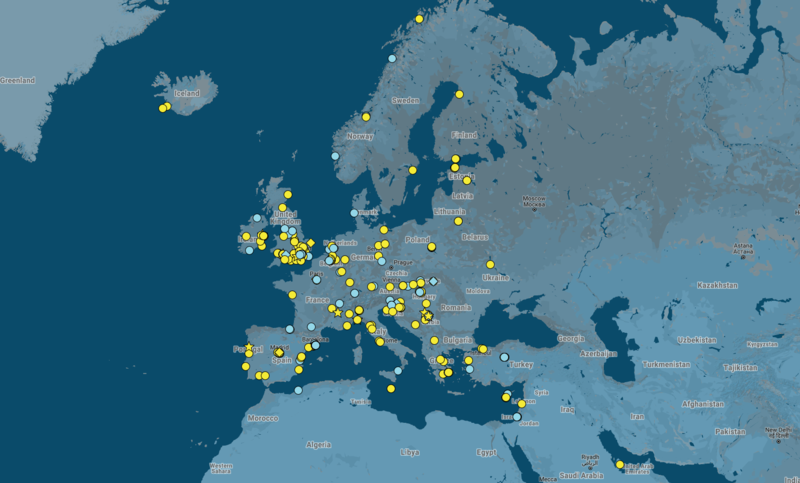 The virtual platform itself is an online space focused on Horizon 2020 collaboration. Broken down into nearly 20 Helixes that mirror the thematic challenges of H2020, users can post opportunities for collaboration, link up with users that have already posted and are seeking expertise and profile themselves as a trusted member of the network with the expertise to offer. Finally, our staff continuously works behind the scenes to plug our members into the right consortia, when appropriate. This work is done behind the scenes and ensures that no opportunities slip through the cracks. SOC: We see lots of possibilities for spinoffs/startups in Crowdhelix community. Who are welcome to the Crowdhelix network? Is there any privilege for specific industries or countries or maybe you have other criteria for project selection? Maybe you can provide some names or examples of the companies that you collaborate with and that support scientists with their grant funding. Dr. Kanso: Crowdhelix is open to businesses, research and academic institutions with either a track record in EU funded research or the ambition to be successful in EU funded research. One of our main goals is building trust within the network. This is one of the reasons we implement a membership fee, so as to ensure that only members with the drive and ability to deliver on a project end up participating in the network, on the platform, and at events. All current members of the network can be found on our website by the link. This includes the Vision2020 Helix leaders, (organizations such as KU Leuven in Belgium, who are spearheading health research and events for the network). Recent additions to the network from industry include GE Global Research and Unilever. In terms of SMEs, French companies Lexistems and Elvesys are joining the network following a success ICT/VR collaboration event in Laval this past spring. In terms of recent RTO members, the University of Greenwich in the UK and the University of Hasselt in Belgium are in the process of adding their expertise. 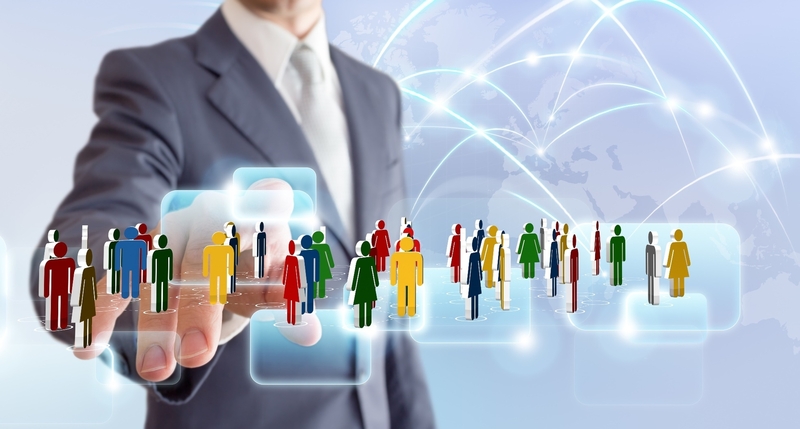 As the network is all about open collaboration and innovation, there are geographical criteria related to participation, nor is there specific criteria related to which industries can participate, although companies and institutions with a focus related to our main Helix areas will often be the most successful. SOC: As you know the core of SPINOFF.COM activity is a collaboration with science startups called spinoffs that are mainly focused on improving peoples life and health and may benefit the humanity. Could you please describe how your company might be helpful for such spinoffs? What are the main benefits that may obtain? Dr. Kanso: Crowdhelix SME members are given access to a network over nearly 350 businesses, research centres and universities across 42 countries. These organisations are looking to collaborate in pursuit of R&D funding from the European Union. Vision2020 facilitations this collaboration through Crowdhelix, a purpose-built networking platform with over 2100 experts from across the network looking to form consortia and submit proposals. SPINOFF.COM will also have access to our roughly 15 Horizon 2020 themed matchmaking/collaboration events throughout the year, as well as Vision2020 staff plugging them into consortia when appropriate. SOC: That’s not a secret that spinoff/startup founders don't have enough experience in starting the company and they might feel vague at some stages. Taking into account your vast experience which adviсes and warnings you might give them in the sphere of your activity? 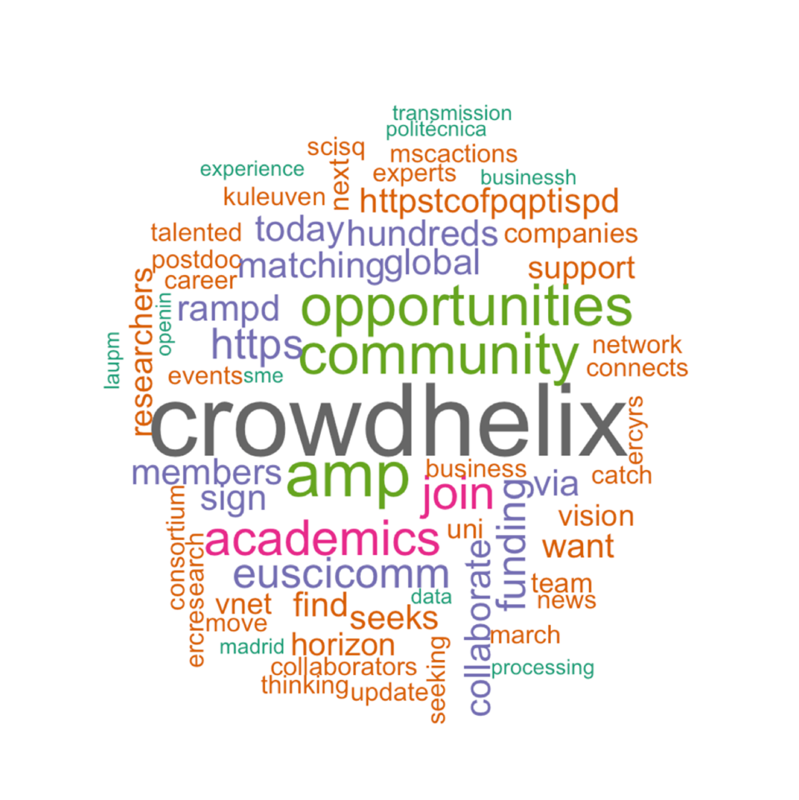 What mistakes may they avoid cooperating with Vision2020: The Crowdhelix Network and your partners? Dr. Kanso: The beauty of what we offer is that spinoffs can join existing consortia that apply funding programmes which will include leading RTO and industry members. Typically, a large research institution would be leading the activity of preparing the proposal and the planning. This approach is easier for a spinoff than trying to apply to government funding alone. The connections made will be very valuable for future collaborative efforts. We, therefore, advise spinoffs to join collaborative projects before attempting to apply for funding alone. SOC: What are the steps a startup/ spinoff founder needs to take in order to enter your network? Dr. Kanso: The first step is to fill out the Vision2020 new members form. Once this is done, we will be in touch with the applicable membership statement and invoice for the membership fee. SOC: Money is a critical issue for the rising companies. Spinoff founders take into consideration all the expenses. One of the expected questions from them is whether they might receive an additional discount from your company and under which terms? Dr. Kanso: Our offer for SPINOFF.COM is that companies can join for a very reduced fee of 300 Euros, effective from the date of joining until the end of 2020. This is a big discount on our usual fee of 900 Euros. We would like to express gratitude for the time you have dedicated to this interview. SPINOFF.COM is happy to have such a professional and experienced partner among the syndicate members that also supports raising businesses networking to reach their primary goals. Also, we are pleased to introduce Vision2020/Crowdhelix to the spinoff founders worldwide, so they may benefit to obtain grant funding and other support within the network ecosystem in order to successfully develop their disruptive products and technologies. Looking forward to collaborating for the benefit of science spinoffs development!